The 488HS3-GLONASS receiver system has been designed to allow 5200 series network time servers to be automatically time synchronised from the GLONASS satellite time transmissions. This information provides a highly accurate source of time reference regardless of the global location. The receiver can operate in either GLONASS only synchronisation mode or GLOSNASS with GPS assistance synchronisation mode. 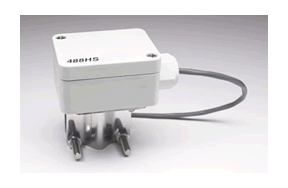 The 488HS3-GLONASS receiver system is housed in a single IP65 rated case containing both the active antenna module and the receiver/decoder interface. 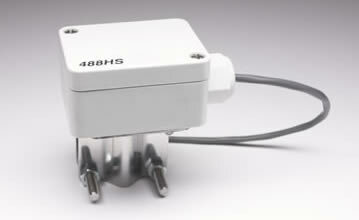 The IP65 rated protective housing shields the 488HS3-GLONASS receiver system from wind, rain and snow. The connection between the 488HS3-GLONASS synchronisation receiver and the 5200 series network time server is by a four core screened twisted pair cable up to 200m long. This cable also provides power to the 488HS3 receiver/decoder module. The GLONASS system was developed by the Russian government initially for military use and is now available for unlimited commercial access. GLONASS is a system of satellites in three orbits, each orbital plane equally spaced about the equator and inclined at 64.8 degrees. The satellites transmit highly accurate, real-time, worldwide navigation information at a frequency of 1598-1609 MHz that anyone with a suitable GLONASS receiver can use to identify their position, together with a precise local time. GLONASS satellites travel in nearly circular orbits every 11 hours and 15 minutes at an altitude of 19,100km (10,313 nautical miles). The exact position of each satellite can be determined at all times. Each satellite continuously transmits a unique code sequence, derived from atomic clocks, which is tracked by the GLONASS receiver. The transmitted information includes current orbital data for each satellite. The GLONASS receiver is able to identify each satellite by its unique signal frequency and is able to calculate the satellite’s exact position in space. The Wharton 488HS3-GLONASS receiver uses the calculated information to determine its distance from several satellites. The receiver then uses a process called triangulation to compute its own position together with a precise local time.